Melasma so called ‘the mask of pregnancy’ is a problem that commonly occurs in adult women during the phase of pregnancy or after it. It is caused by changing pregnancy hormones, which blacken skin of women in patches or completely. It is also called hyperpigmentation of skin. There are also incidences of problem among women who suffer in the sun heat. That is not very often but women do get their skin darken in sun heat. Although the problem itself fades out with the passage of time after delivery, concealing it is possible. There are some makeup techniques, creams and lotions available over-the-counter, but generally skin specialists do not recommend them, since being less effective. Here are some steps that can help solve this problem. With signs of Melasma appearing on your skin, especially on face, you should see a dermatologist immediately. You might get something that can treat the condition quickly since it is diagnosed at very early stage. However, generally recommended creams and lotions by dermatologists are not permanent solutions. 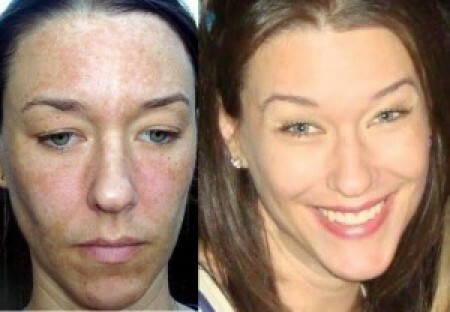 Melasma itself fades out in several weeks. Most over-the-counter products, especially creams and lotions, which are sometimes in your makeup range, are not effective to conceal Melasma. After a short span of their use, the black and dark patches become again transparent on surface of your skin. Use of specialized products like ColorTration is the best way to conceal Melasma, and it also gives smooth touch to your skin throughout the day that you do not feel any irritation or even a feel of Melasma. It can be used mixed with sun cream and other products. It nevertheless leaves a clear impact on your skin. You can use ColorTration by mixing it with sunscreen. It is more effective for you if especially your problem feels aggravated with exposure of your skin to sun. It does not have any side effects. ColorTration can also be used with other formulas. Make sure you pick the quality product which you are trying to use with ColorTration. Again, OTC products are not that effective, so it is better to use specialized prescribed product to create lasting impact on your skin. While treating yourself with Melasma you should be careful and avoid allergen products. You might not be aware that some products contain allergen material that can further damage your skin. Either read all ingredients carefully if you know about allergen material or get it recommended by your dermatologist or skin specialist.